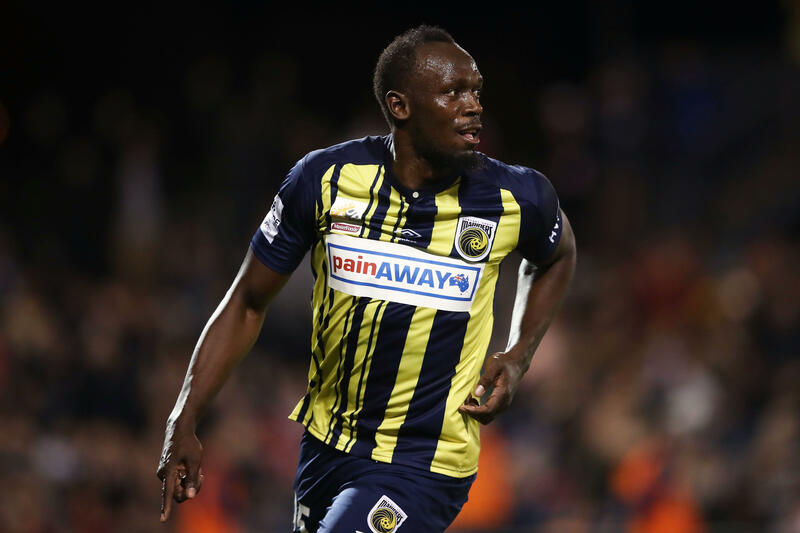 SYDNEY — Usain Bolt scored twice in his first start for the Central Coast Mariners in an A-League trial match on Friday before being substituted with about 15 minutes remaining. The retired eight-time Olympic gold medalist sprinter is trying to secure a place with the Mariners for this season, which begins for the Mariners on Oct. 21 against the Brisbane Roar. Bolt wore No. 95 on his jersey, in reference to his 100-meter world record of 9.58 seconds he set in Berlin at the 2009 world championships. He added: "I think I made some slight mistakes, but I'm just happy to get the chance and I'm proud of myself." Bolt said he hoped to sit down with the Central Coast coaching staff next week to discuss his future with the team. He was in the starting lineup against a second-tier National Premier League combined team representing Sydney's southwest region. He played the entire second half against the North Shore Mariners on Sept. 19, when he alternated between left wing and forward. He later posted video of his goal on Instagram with the caption: "Dreams become Reality through hard work." It's Bolt's first serious foray into football since retiring from athletics last year. Bolt has his sights set on the Premier League, particularly Manchester United, and has suggested that he'd spoken with the club about joining them in the future, according to CBS Sports. He has trained with teams in Norway, South Africa and Jamaica, and had a much-publicized training stint with Bundesliga side Borussia Dortmund in March.